Blueberries were on sale at one of the grocery stores I shop at 18 oz for 2.98 so I bought two boxes. My older son ate through one entire container over the weekend, I took the other one to make some blueberry jam. 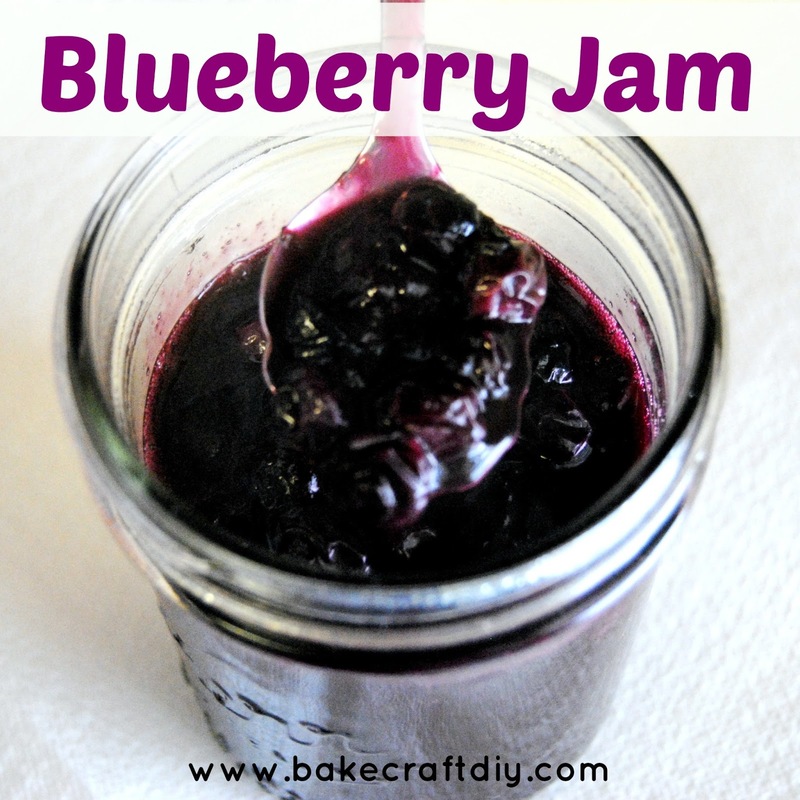 Blueberry Jam is great on toast, a peanut butter sandwich or as a topping for waffles or pancakes and this recipe gives you enough for one jar, no need to can it as long as you store it in the refrigerator. This is not a canning recipe. 2. When butter is melted add sugar and vanilla, the sugar will increase the liquid in the jam. 5. Remove from heat and pour into a jar, allow jam to cool to room temperature. The jam will thicken as it cools. Once it cools add a lid and put it in the fridge... or make waffles and enjoy!